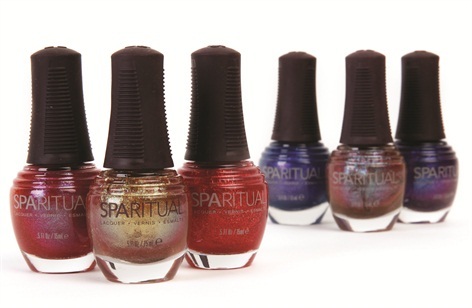 SpaRitual’s Illuminate 2013 holiday collection borrows luminous color from the master glassmakers of Italy. Cool electric hues reflect a rich heritage of craftsmanship and iridescent shades catch and play with light. Recycled glass beads magnify six vibrant shimmers including Intellect, Intention, Imagination, Improvisation, Invention, and Intuition. For more information, visit SpaRitual.